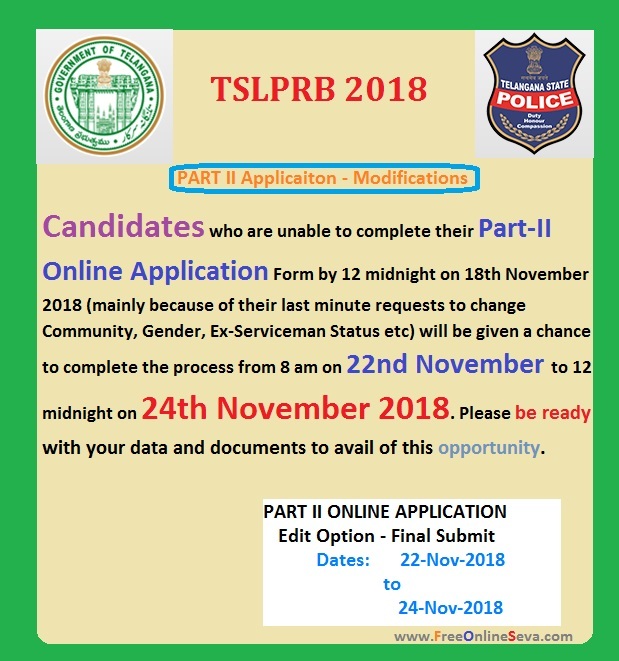 Candidates who are unable to complete their PART II Application by 18th November, 2018. 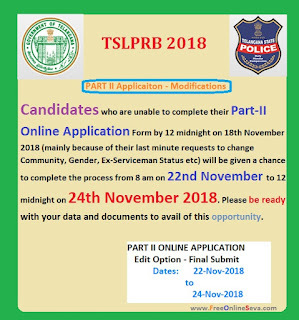 Now we have a chance to SUBMIT PART II Application from 22-11-2018 to 24-11-2018. Be ready with all documents and details.